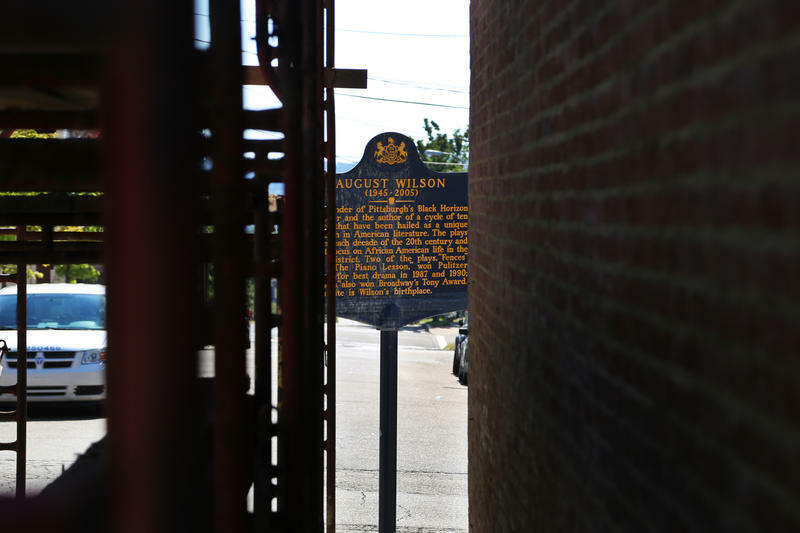 To tell how the nation’s first black beer festival came to be held in Pittsburgh, you might start with a beer. Fresh Fest runs from 1-9 p.m. Sat., Aug. 11. at Nova Place, 100 South Commons, North Side. In craft-beer lingo, Potter’s Sam Adams and Bracey’s Blue Moon are “gateway beers” – brews that usher drinkers into the world of small, independent breweries, with their adventuresome techniques and flavors. In this case, they also ultimately led to Potter and Bracey, along with Ed Bailey, founding Fresh Fest, the first-ever beer festival for breweries owned by African Americans. A dozen such breweries will visit the North Side’s Nova Place on Sat., Aug. 11, for the day-long festival. Fresh Fest’s purpose is to celebrate black brewing talent – and to emphasize that craft beer, long implicitly seen as white territory, needs to get more diverse. “There is an overrepresentation of white folks on both the production and the consumption side,” says J. Nikol Jackson-Beckham, a professor at Randolph College, in Virginia, and an expert on diversity in craft beer. Brewing beer has always been a white space in the U.S., and craft beer, an industry now four decades old, followed suit: Its product is mostly made, and drunk, by affluent white folks. Yet after years of double-digit growth – the number of craft breweries doubled between 2013 and 2017 -- the industry remains surprisingly monochromatic. 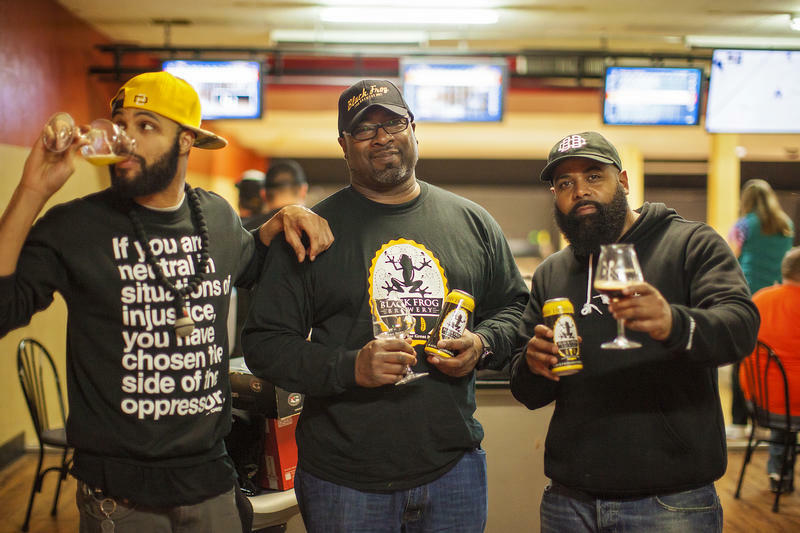 More pronounced is the disparity among makers of craft beer: Potter, who founded the group Black Brew Culture, estimated that out of more than 6,300 independent U.S. breweries, only about 50 are black-owned. That’s less than 1 percent – and there are none at all in the Pittsburgh region. “That’s not a good number, especially when you consider again the consumption side of it, how many people of color actually purchase these beers,” said Potter. Fresh Fest co-founder Mike Potter (right) visits East End Brewing in Pittsburgh's Strip District. Potter wants to change both sides of the equation. After his revelation years ago with Sam Adams, the Pittsburgh-area native found his way to East End Brewing, one of the region’s longest-running craft breweries. He describes the brewery’s staff as beer mentors. “I had no idea of what some of these beers were like,” said Potter. “They started breaking down about stouts and porters, Belgians, different kinds of ales, IPA.” He got into homebrewing and considered, as many homebrewers do, starting his own microbrewery. He learned it wasn’t so easy. Potter is an entrepreneur – he runs a print shop in Homestead – but still felt he lacked the funding and know-how that successful craft brewers possessed. And all the ones he knew of were white. “So that led me to start kind of searching around for anybody else of color that is doing this,” he said. Some of them are making a go of it. Chris Harris, of Toledo, Ohio, founded Black Frog Brewery in 2014. On July 31 of this year, he quit his day job with the Social Security Administration to run his brewpub and fledgling distribution network full-time. “I’m hoping within the next year to maybe have a small production facility,” he said. So why isn’t craft beer catching on faster among African Americans as a whole? The answer isn’t mysterious, but it is complex. Poverty among African Americans plays a part, because craft beer is typically two to three times as expensive as bigger corporate brands. That’s one reason Fresh Fest co-founder Day Bracey cites “systemic racism” as a main factor in the lack of diversity in the industry’s customer base. He also notes racial segregation, which keeps people from trying bars in neighborhoods where they might not feel safe or welcome. “I mean, if you get pulled over in the wrong neighborhood, like that could mean a lot of bad things for you,” Bracey said. Other observers emphasize the role of the brewing industry, which decades ago began marketing cheap, potent malt liquor in primarily African-American and Latino neighborhoods, said beer scholar Jackson-Beckham. 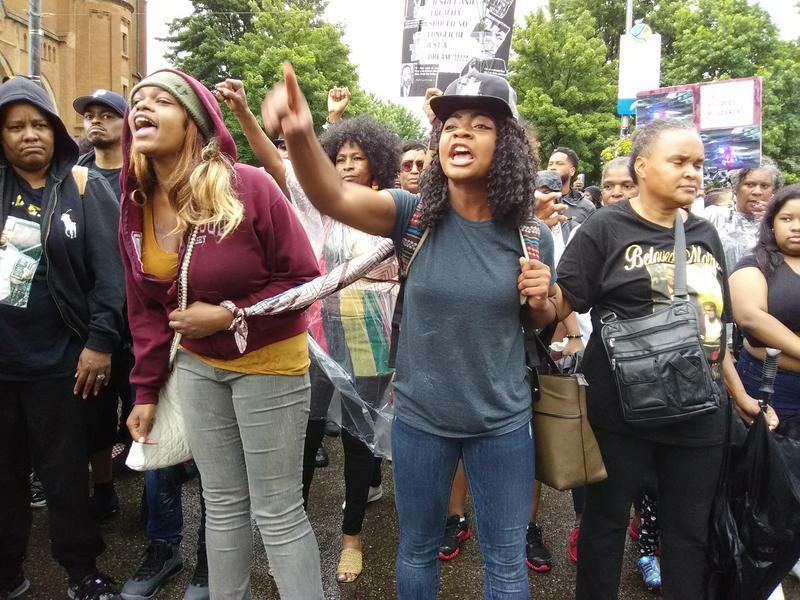 “I’m 40, so my age and perhaps 10 years [of people] on either side there is a pretty strong association of beer within black culture with malt liquor,” she said. That association, she said, was strengthened by advertising as well as by hip-hop’s embrace of malt liquor as a cultural signifier. “My whole life, all I saw was malt-liquor bottles,” said Potter. “Breweries, craft breweries in particular, are in many ways, in many spaces, seen as a gentrifying force,” says Jackson-Beckham. But craft-beer advocates say that can change, as it did for them, with exposure. “I think it’s just time and experience and also the willingness to want to move in that direction,” said Byron Nash, a Pittsburgh-based musician who as a bartender takes pride in introducing drinkers to new craft styles. The barriers to becoming a brewer, however, are notably higher than those for drinkers. Affluent whites, for instance, are much more likely to have grown up with parents, cousins, or friends who home-brewed. And even those who, like Potter, get into the hobby find that acquiring credit, capital and know-how can be difficult. “That kind of entrepreneurship is definitely a place where women and people of color have had a harder time getting a foothold,” said Alice Julier, director of food studies at Chatham University. Craft advocates are well aware of all these issues. In April, the Brewers Association, based in Colorado, hired Jackson-Beckham as its first “diversity ambassador.” Jackson-Beckham, it should be noted, doesn’t have a merely academic interest in beer: She’s a prolific writer who gained prominence in the industry with her blog about these issues titled “The Unbearable Whiteness of Brewing”; she’s also a homebrewer herself. To many, Fresh Fest seems like a significant development. It is almost surely the first black beer festival: Neither Potter, Jackson-Beckham nor Brewers Association economist Bart Watson could name another. Fresh Fest will have a community feel, thanks largely to the “collaboration beers” that are a staple of beer festivals. 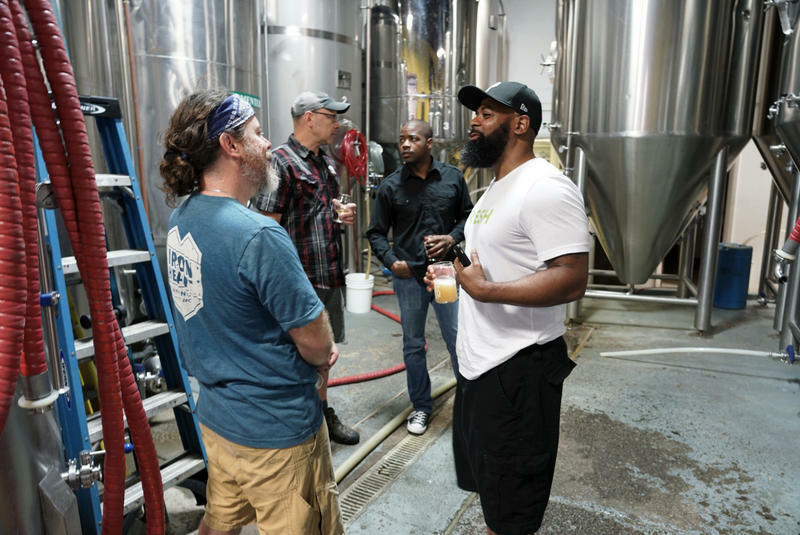 Organizers paired visiting and local breweries alike with local African-American drinkers to produce some two dozen innovative brews. 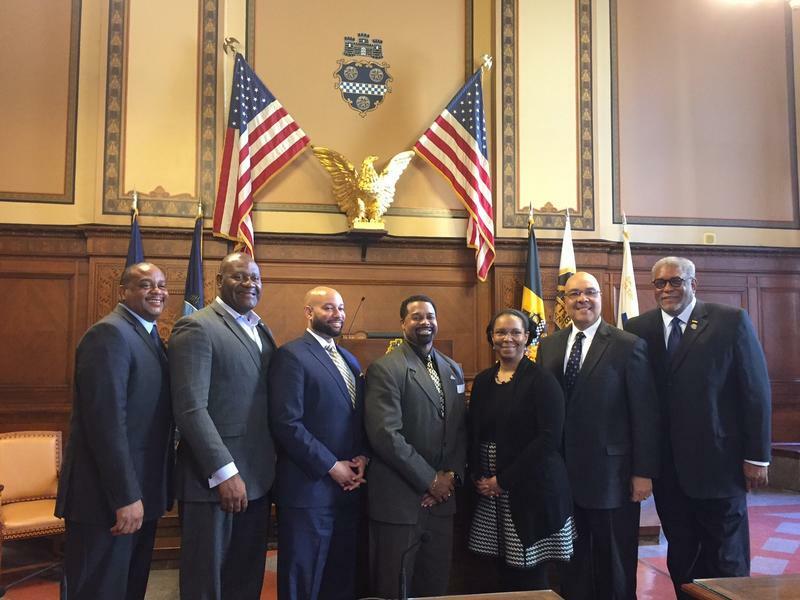 Bartender Byron Nash (one of whose bands will performs at the fest) is one collaborator; so is Marita Garrett, the mayor of Wilkinsburg. Garrett is mostly a wine drinker, she said, but worked with owner Matt Gouwens at Lawrenceville’s Hop Farm Brewing Company to come up with something she liked. “I don’t usually drink beers that much, but this has exposed me to all the different offerings and samplings, and how there’s even, you know, beer that tastes like wine,” she said. Their collaboration “has a little bit of like lavender notes, as well as hibiscus,” she adds. Garrett acknowledges that many in her town, which is mostly African-American, have voiced concern about gentrification when entrepreneurs have broached opening a brewery there. But as Fresh Fest demonstrates, different kinds of people can open breweries. “You can be a part of this as well,” she said. Ticket pre-sales were strong enough that Fresh Fest has been moved from its original location, Threadbare Cider, in Spring Garden, to larger digs at Nova Place, on the North Side. The event also includes live music and food trucks. A VIP Experience ticket includes a meet-the-brewers session and special edition of the Drinking Partners podcast live, all starting at 1 p.m. Early admission runs 4-9 p.m. and includes a swag bag and special access to beers and food. The regular session runs 5-9 p.m.